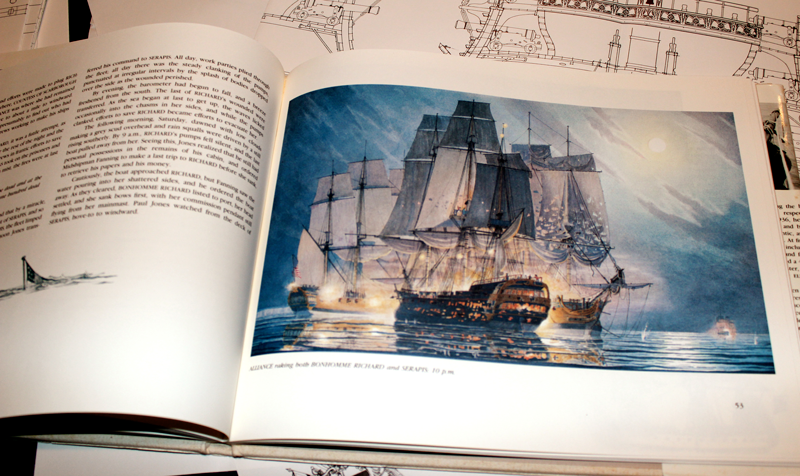 Soon, I plan to build a 1:48 scale waterline diorama of the Bonhomme Richard, the ship that made John Paul Jones famous. When finished, the model will measure about 5 feet long, 1.5 feet wide, and 4 feet high. Each week, I will chart my progress on this web site, from reading the very intricate and beautiful plans (created by Jean Boudriot) to the opening of its first showing. My goal is to display my Bonhomme Richard in a large public space, like a corporate lobby, museum, government building, or library. The Bonhomme Richard will be a scratch-built, plank-on-frame model. As I am building the Bonhomme Richard, I will work on other models and demonstrate the building of solid hull and bulwark-on-frame models. 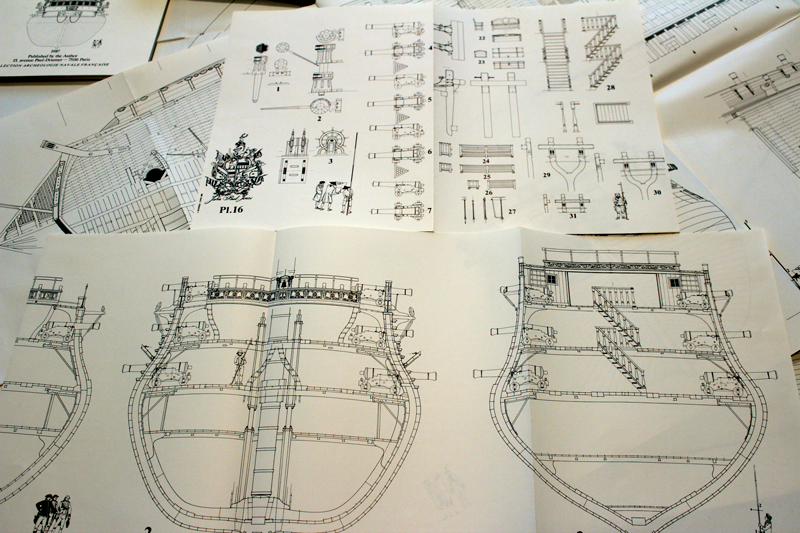 In September, I delayed working on the Bonhomme Richard to build a model of Sultana for a friend. 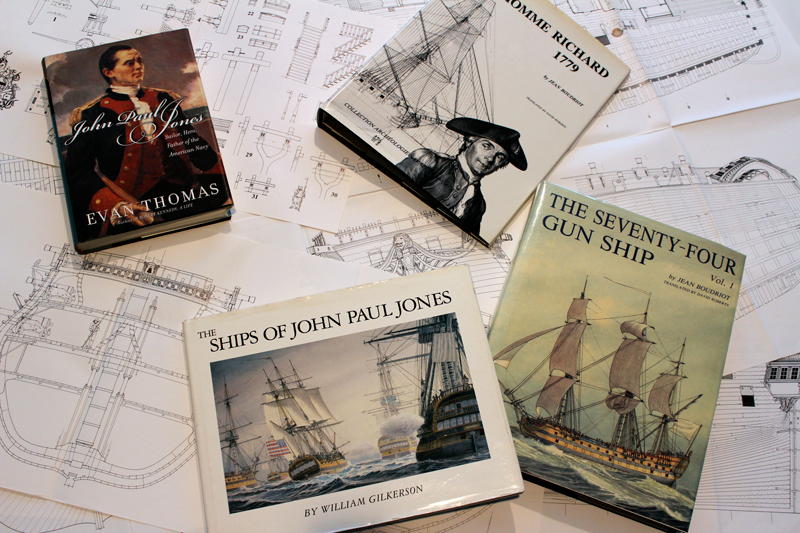 Now, I am scheduled to do a lecture (Ships of Long Island’s War of Independence) and a model-building practicum at the Quogue Library in March. This will involve building a model of the Lake Champlain gunboat, Philadelphia, in about two months. With another commission pending, work on ‘the great American ship model’ must again be delayed. Somebody who is very special to me has told me that he wants to give his daughter and son-in-law a ship model for their new house. The Bonhomme Richard will just have to wait. Still, go ahead and read my September 3 post, it explains why and how I am building the Bonhomme Richard. And then we have those wonderful descriptions of the battle itself, the first and best written by John Paul Jones himself, followed by many retellings, most recently by Evan Thomas. 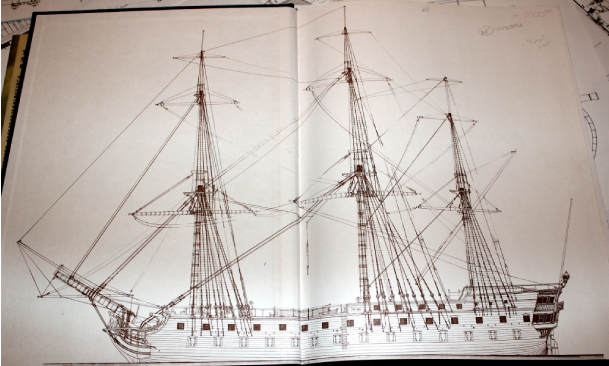 Given my love of American naval history and the Revolutionary War, how could I not want to build this model?